Computer training classes from ACE. ACE offers courses to help students prepare for Cisco, CompTIA and Microsoft certifications. Whether you want to build your on-the-job skills, prepare for a product deployment or upgrade, plan a new career, or prepare for a Microsoft Certification exams, Acend is here to help. Offers complete computer based training courses of MCSE, microsoft certifications, adobe photoshop, flash training and tutorials. Provides computer based training for those who are looking to step foot in the IT industry. Provider of free and commercial on-line and classroom based instructor led Cisco technical training courses. Provide worldwide data recovery training courses, tools, hardware and software. IT Training Solutions provide a wide variety of computer training courses and soft skills courses along with web and database design services. Courseware created by trainers for trainers, CourseDiscovery LLC creates custom courseware for IT training. Branded Flash Demos for the web hosting industry. These online tutorials show customers how to use their hosting accounts, and empowering them to get the help they need, themselves. Software training throughout london and the UK in inDesign, Illustrator, Photoshop and quarkXpress. Including all products by Adobe, Quark, Microsoft and Apple. One-on-one computer training courses for people and businesses within the Wollongong region in MS Access, Word, and Excel and in web design. Instructor-led computer training classes in San Francisco Bay Area. Professional development from beginner to advanced levels in java, android, networking, Linux, SQL, MySQL and php. Source for authorized Adobe and Apple training nationwide. Lodestone provides certified public and private onsite training as well as consulting and co-development services. Excel training courses in South Africa for beginners to advanced users. A London City based training company, providing instructor led, training at their fully equipped training centre near Moorgate. 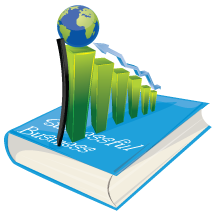 Learn how to generate more traffic in your business with SEO training in Montreal & Toronto workshops. A membership based guide that aims to educate individuals about their industry-specific software and technologies. Provides high-quality computer network training for network administrators and engineers in Houston, Texas, Seattle, Kennewick, and Spokane, Washington, and Portland, Oregon. Adobe certified training centers in Atlanta, Chicago, San Diego, New York, Denver, and Washington DC.